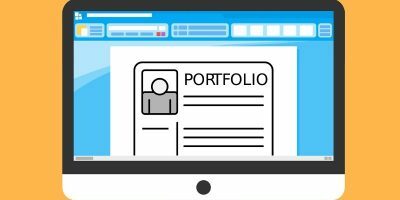 Perhaps you want to dabble in web design. Perhaps you want a place to sell your crafts online. Perhaps the lady in the house next door really wants to post pictures of her cat. There are a lot of reasons to want a website, but not everyone is willing or able to design something nice from scratch. For those of us without the time or inclination to build our own, there are templates. Lots of them. Often, they’re even free. 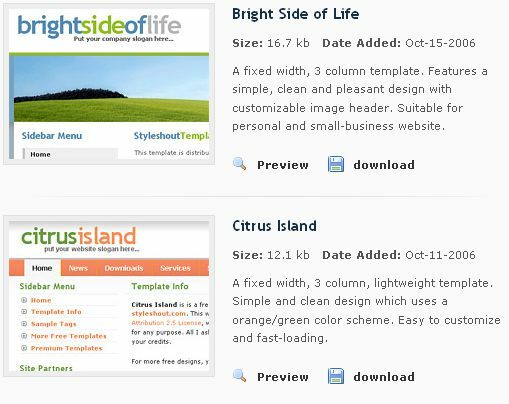 Today we’ll check out 8 of the best places to get free HTML/CSS (and sometimes Flash) templates. Note: Some of the sites and individual templates linked may have rights restrictions, attribution rules, and the like. 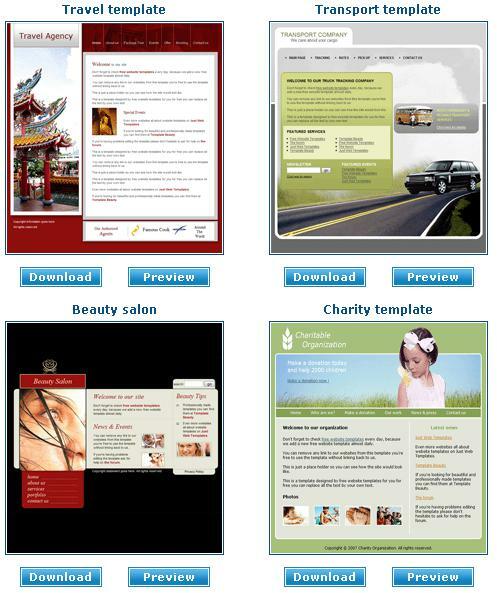 Check out the details of any template before deciding on it, particularly if you intend to use it for business. While not especially big or fancy, this site does have some redeeming qualities. Mainly, it’s one of the few on this list that allows you to browse free templates by category. 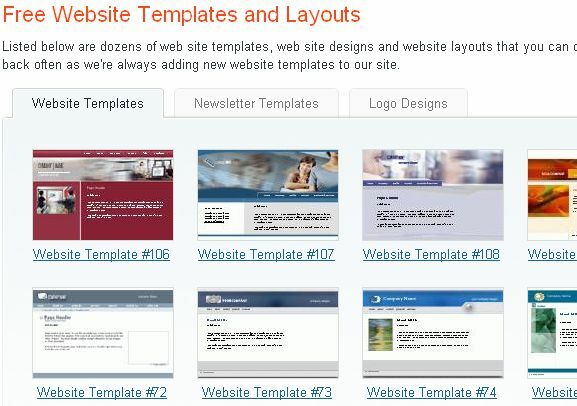 You’ve got about 200 templates to choose from, and they’re generally nice looking and clean. My only major complaint about this site is the lack of live demos. 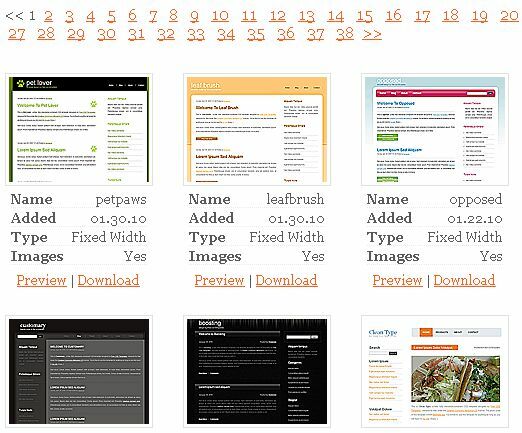 Here you’ll find almost 350 free web templates, among the highest on this list. Bulk is the main draw here, as the site does not provide live demos, mouse-over previews, or much beyond the basic HTML/CSS. 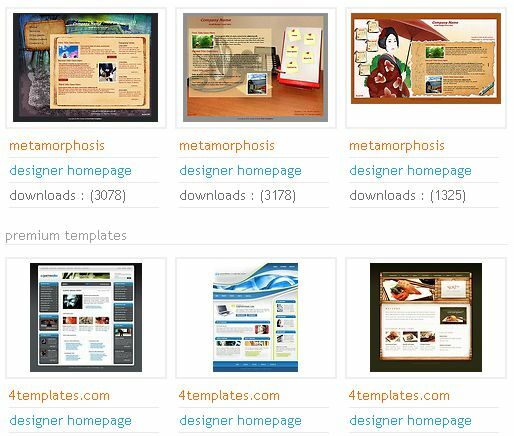 This site’s got nearly 450 templates, live demos of each, and hassle-free downloads. No Flash or fancy animations, just clean, simple design. Leans heavily toward blog-type layouts. While it certainly doesn’t have the widest selection, the templates at Styleshout are all very well put together. If you want to just quickly find a beautiful layout without much hassle, this could be the place for you. Unfortunately, it does not provide quick previews and many of the thumbnails are of little value when trying to browse for an overall look and feel. A beautiful site with a medium sized template collection, StylishTemplate has some very slick stuff. The site’s got live demos, mouse-over previews and quick easy downloads. You won’t find any Flash and such but there’s plenty worth checking out. A pretty good selection here, useful thumbnails, live previews. This site has a wide range of styles and layouts from different designers so whatever your tastes, you should be able to find something you like. 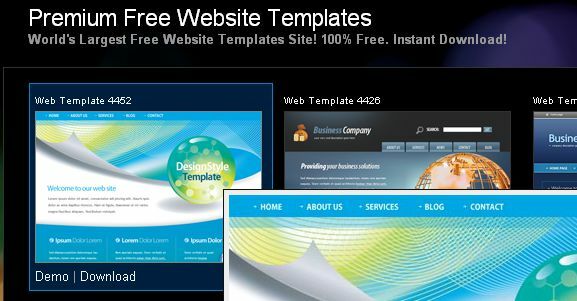 Probably the most notable aspect of FreeWebTemplates.com is that they’re one of the few sites that provide Flash-based sites for free. That’s certainly not all they provide, however, so take your time and look around on this one. The downside, however, is that there are no live demos available for the templates. You may have noticed in the last screenshot that it shows some of the templates designed by metamorphosis. If you check out their site (yes, the site is spelled with a “z”) you’ll see some great designs for normal and Flash-based templates, and as an added bonus, this one does have live previews so you can try out your template before downloading. Thank you for this link, i think you should do a look at http://www.freethemes4all.com and http://www.template4all.com they are interesting too. Very clean and really useful structured design. In my opinion it is good base for modifcations and own creations. I like it very much! Thanks for your work and for sharing the link! Great work! Thank you for this link! That’s a great list…Thanks for sharing. Do You Prefer Websites to Be Goodlooking or Functional?